We Want To Wish A Very Happy Birthday To Mrs. Michelle Obama! 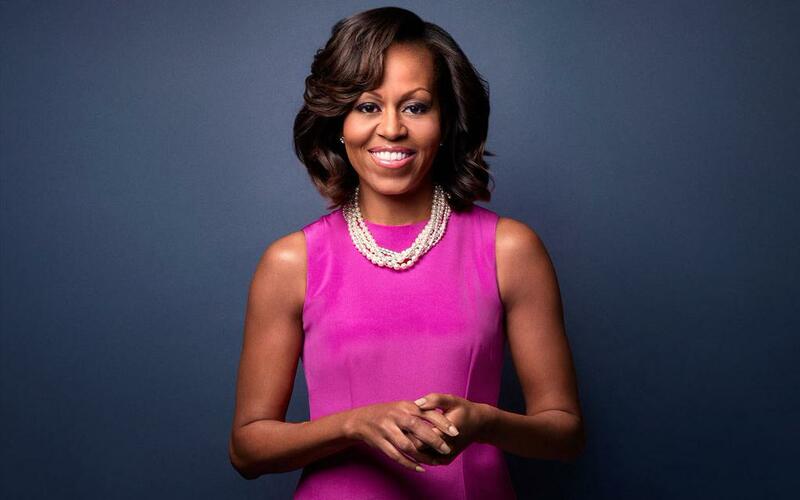 Teeninfonet would like to wish the First Lady Michelle Obama a very Happy Birthday! If you would like to send your birthday wishes to Mrs. Obama visit her twitter page! 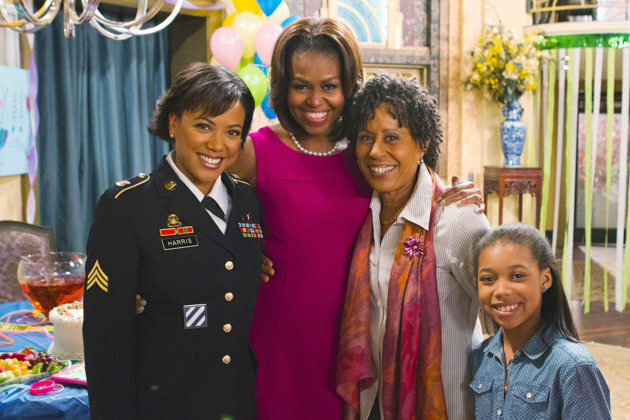 Michelle Obama Guest Stars On A Special Episode Of ‘Jessie’ – See The Sneak Peek Here! The episode will celebrate military families. Be sure to check out a sneak peek clip of Mrs. Obama from the upcoming episode in the video below and let us know what you think by commenting! 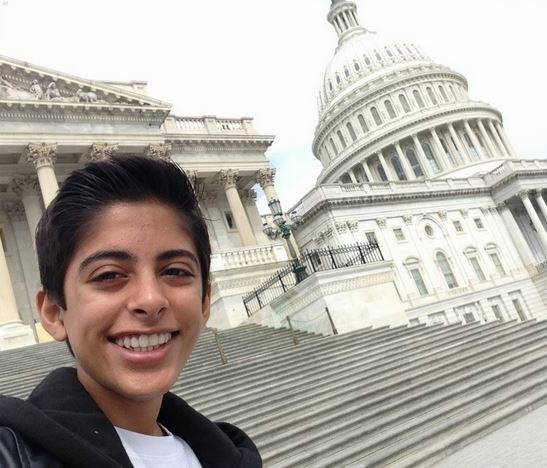 Karan Brar Has Some Fun In Washington, D.C. With His Dad And Friends – See The Pics! Disney Channel star from Disney’s Jessie, Karan Brar, was in Washington, D.C. earlier this week on Monday, April 21 where the star was one of the many celebrities in attendance during the annual Easter Egg Roll held at the White House. During his visit, Karan had the chance to cook with the First Lady Michelle Obama along with some of his cast members. Of course, while he was there, Karan decided to take a tour of the city and the Capitol building with his cast mates and even his father. Check out all the pics from Karan’s trip in the gallery below! The Cast Of Disney’s ‘Jessie’ Plays With Some Food During Annual Easter Egg Roll At The White House! During the annual Easter Egg Roll at the White House held on Monday, April 21, many celebrities came to celebrate with the public and of course, the First Lady Michelle Obama. During the fun celebration, the cast of Disney Channel’s Jessie visited with First Lady Michelle Obama and talked about some healthy foods people at home can make! The cast – Debby Ryan, Karan Brar, Skai Jackson, Cameron Boyce and Peyton List – each had the chance to meet Mrs. Obama and introduce some of the healthy foods all with the help of Chef Marc Murphy. Check out each of the stars from Jessie playing with healthy foods with Mrs. Obama by watching the video below! Michelle Obama Is Guest Starring In An All New Episode Of Jessie! Get ready everybody because a big figure is going to be making an appearance on Disney Channel this May! Michelle Obama, the First Lady, is going to be making a guest star appearance in an upcoming episode of Disney Channel’s sitcom Jessie. 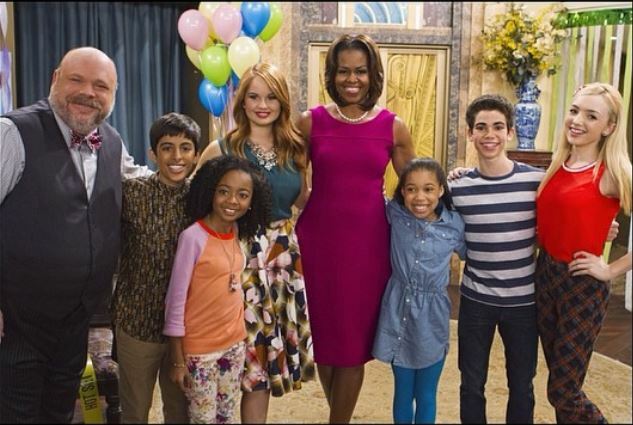 In the episode, titled From the White House to our House, Jessie (Debby Ryan) and Zuri set out to host a birthday party for Taylor, a new friend who’s missing her mother, a deployed member of the military. When Taylor decides she’d rather not celebrate anything without her mother, Zuri enlists the help of Mrs. Obama. Mrs. Obama’s initiative in being part of the episode is to raise awareness about the service, sacrifice and needs of military families. Be sure to tune to Disney Channel on Friday, May 16th at 8PM ET/PT. On Wednesday, March 12th , First Lady Michelle Obama screened Muppets Most Wanted at the White House for military families put on by the Joining Forces Initiative. Kermit was there to introduce the film with the First Lady and Chairman of the Joint Chiefs of Staff, General Martin Dempsey, and take pictures with families afterward. Muppets Most Wanted will hit theaters on March 21st, be sure to go check out the film! Ariana Grande Performs Whitney Houston + More At White House’s ‘Women Of Soul’ Concert — Watch Now! “I feel so incredibly honored to be here tonight, singing alongside some of the most incredible female vocalists in the history of the world. I can’t believe that I’m here right now,” Ariana Grande when she took the stage at the White House on Thursday evening (March 6) as a part of their Women of Soul: In Performance at the White House concert in Washington, D.C., featuring a bill with the likes of Aretha Franklin, Patty LaBelle, Melissa Etheridge, Janelle Monáe, and The Voice winner Tessanne Chin. Ariana brought the crowd to their feet with her amazing rendition of the Whitney classic, and later returned to sing her own song “Tattooed Heart” off her debut album Yours Truly as well, which earned her another standing ovation! Check out the videos of Ariana’s performances from the whitehouse.gov livestream and be sure to catch the concert in full when it airs on PBS on April 7!